Let’s have fun! Games, songs, toasts for all occasions, puzzles, riddles, and stories! 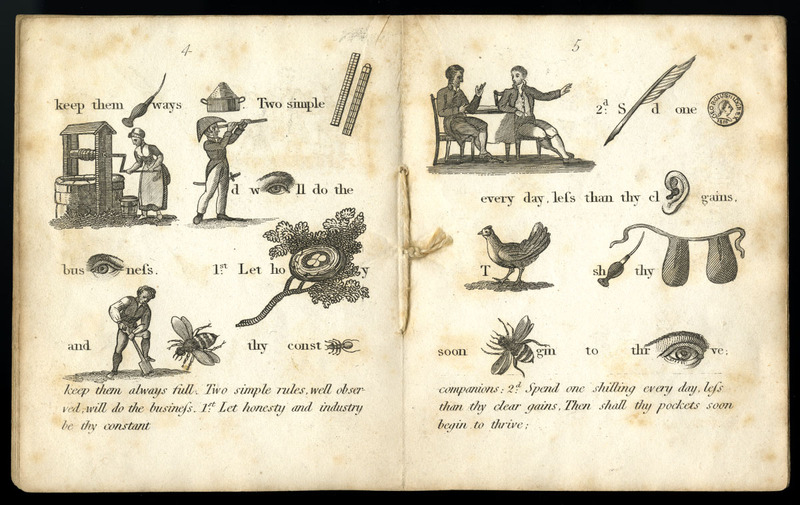 Books are a source of fun (“parlor entertainment,” as it was called in the 19th century). 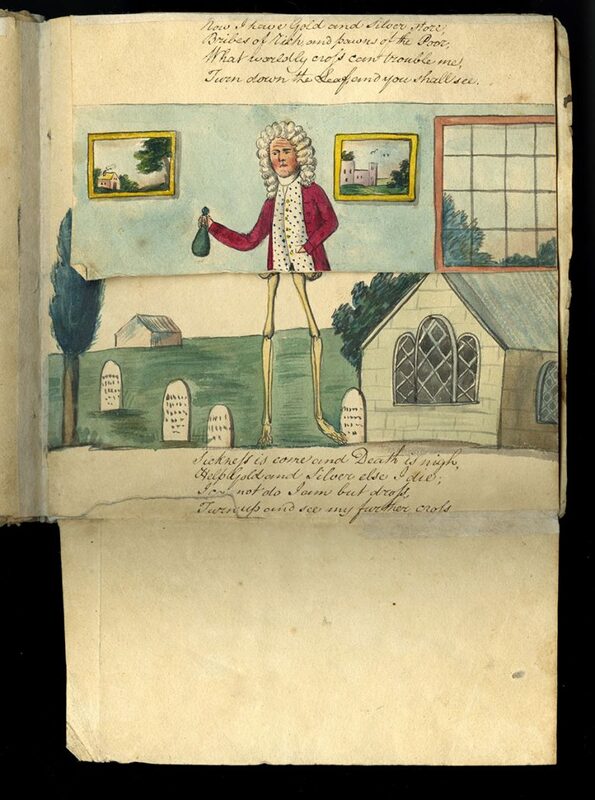 Adding to the novelty were books with unusual shapes and moveable parts. 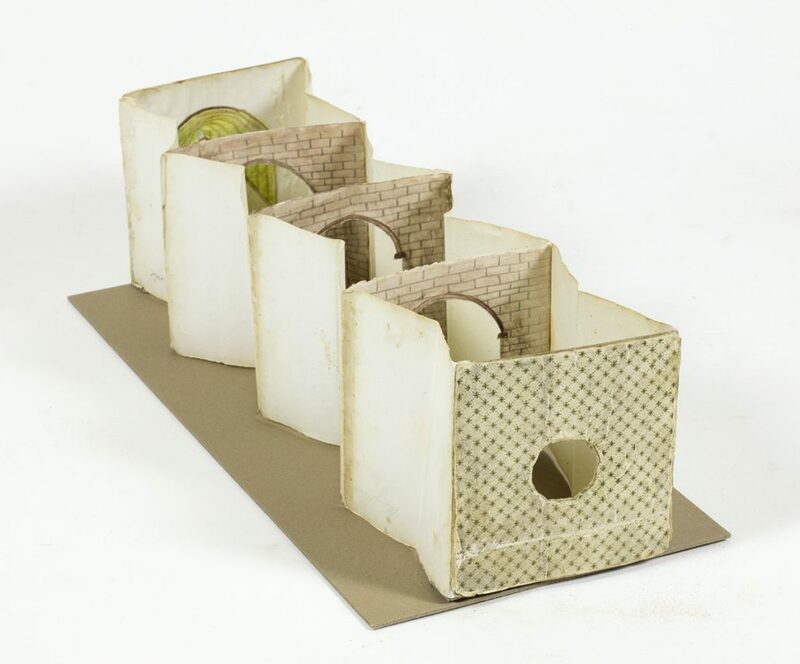 Metamorphosis books used flaps to tell a story, and tunnel books presented a new perspective through a peep-hole. Some of these books are soiled and worn, showing that they have been well-loved. 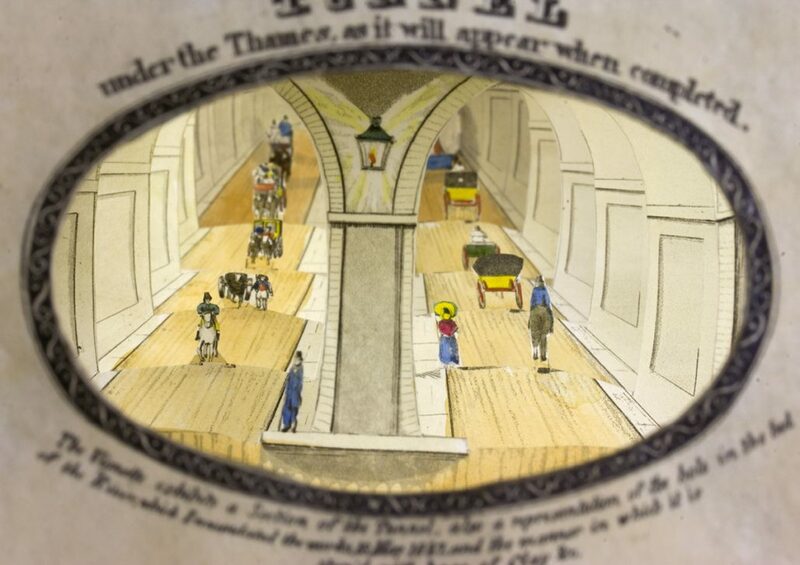 A View of the Tunnel under the Thames (London, 1828). 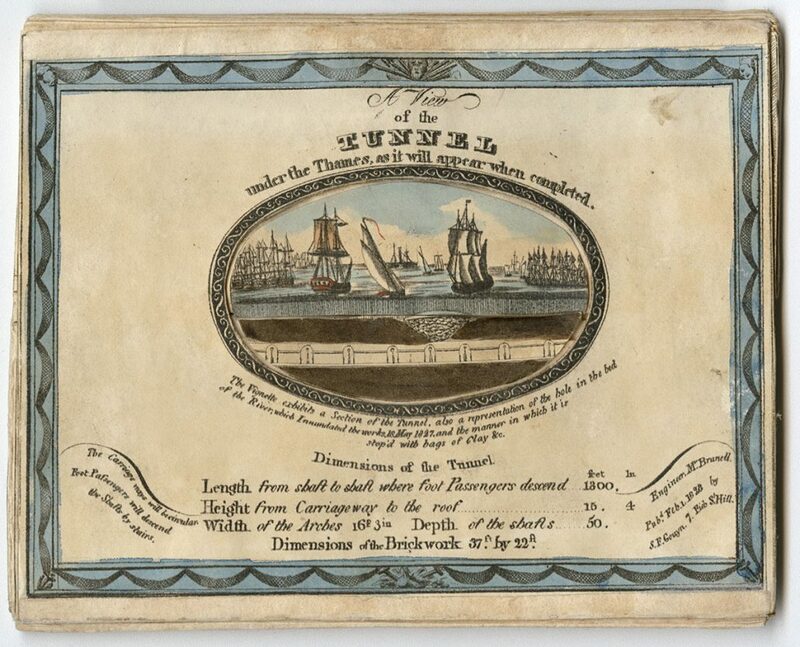 Construction of the Thames Tunnel, the first tunnel under a river, began in 1825. The tunnel was a huge tourist attraction. 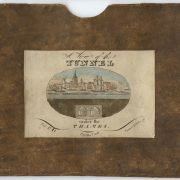 This early tunnel book made a perfect souvenir, its form relays the experience of being inside a tunnel. 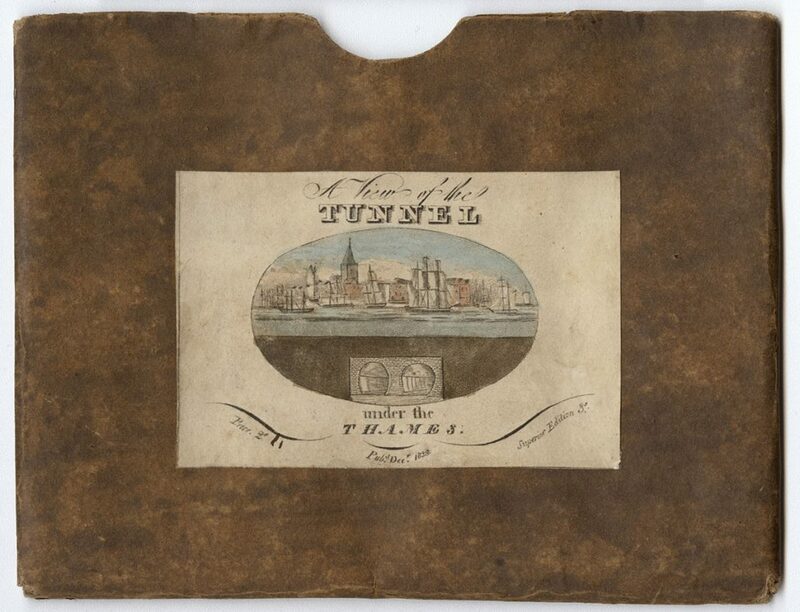 This homemade tunnel book might be a depiction of the Thames Tunnel which opened in London in 1843. 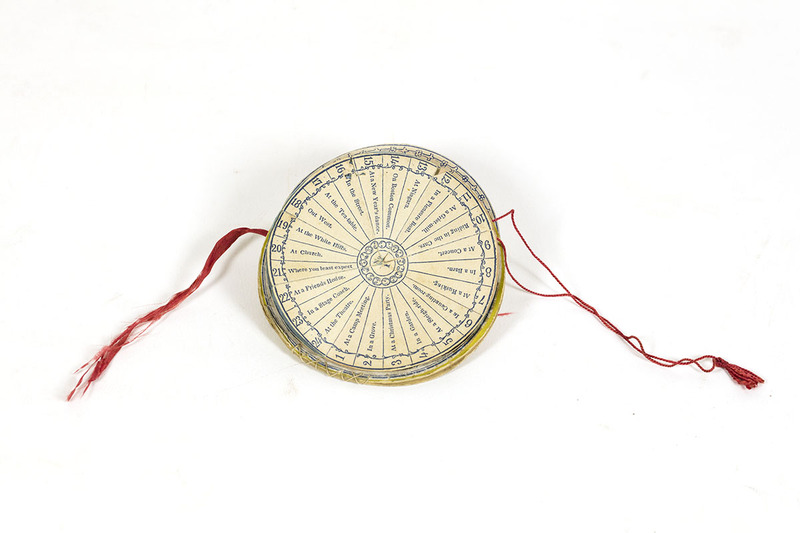 The Expanding Fortune Teller (Nashua, N.H., ca.1849). 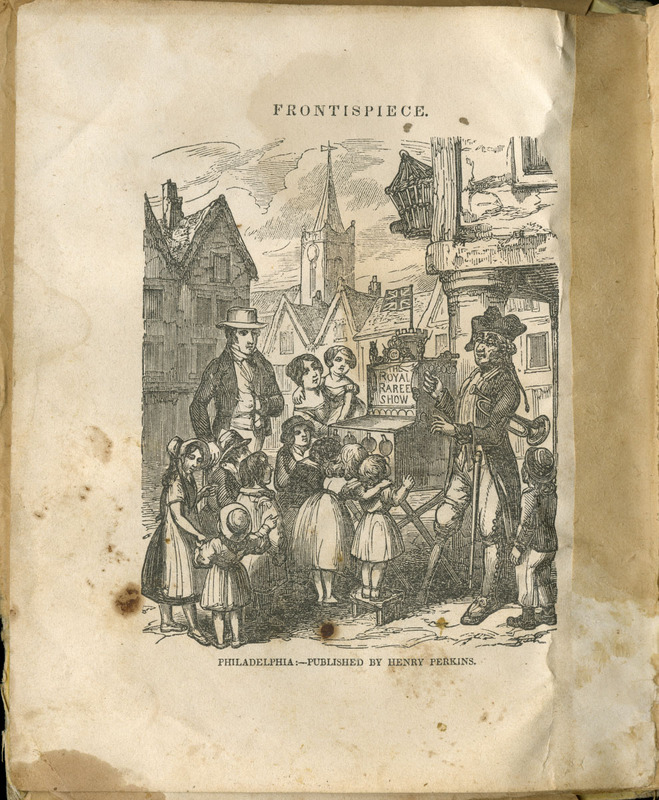 Every Body’s Toast Book (Philadelphia, 1851). Michael Zinman Binding Collection. 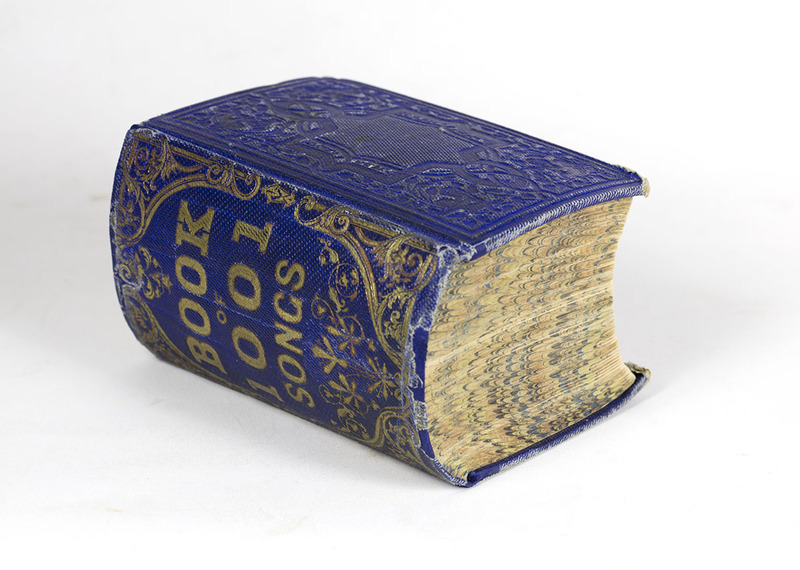 Book of 1001 Songs (New York, ca.1856 -1859). 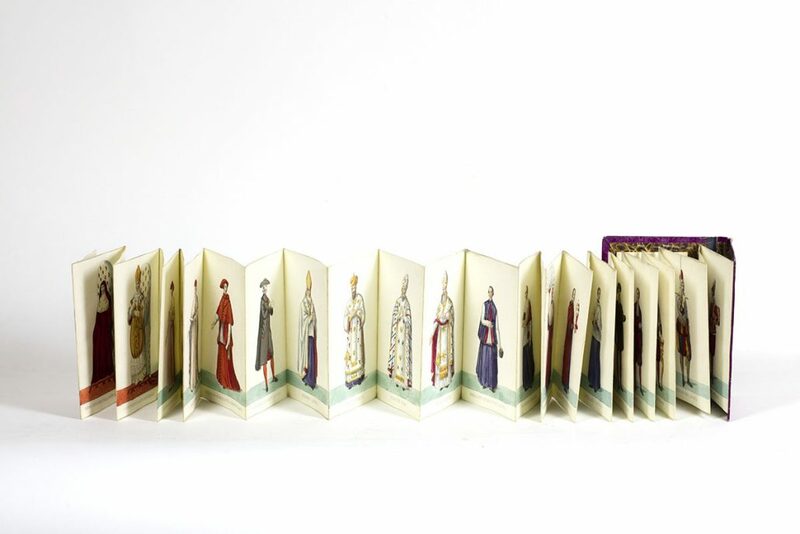 Each of the five panels folds at the top and bottom to create three illustrations. 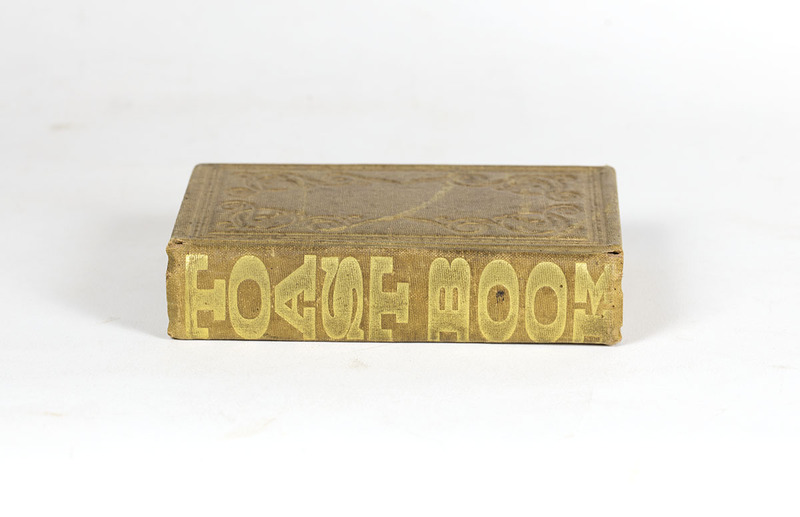 This book form, called “metamorphosis,” was so popular that thirty-nine editions were printed in America before 1820. Other manuscript copies exist, but all copies are unique. 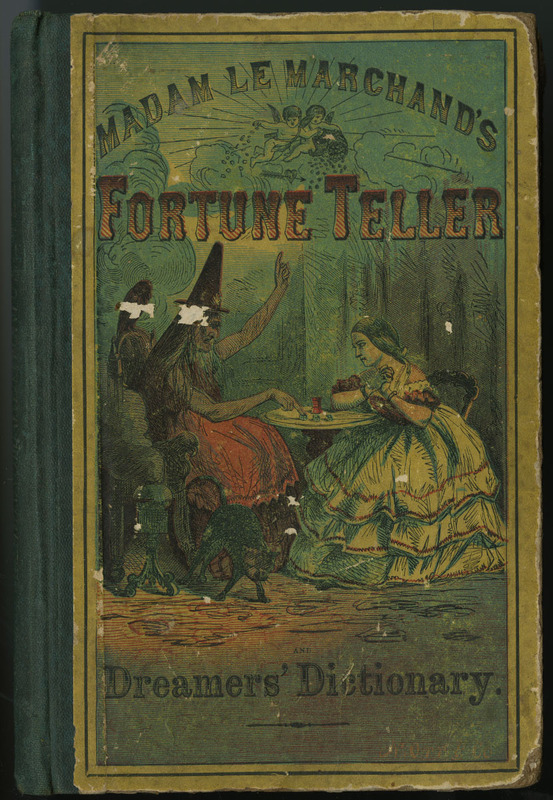 Madame Le Marchand, Le Marchand’s Fortune Teller and Dreamer’s Dictionary (New York, ca.1863). 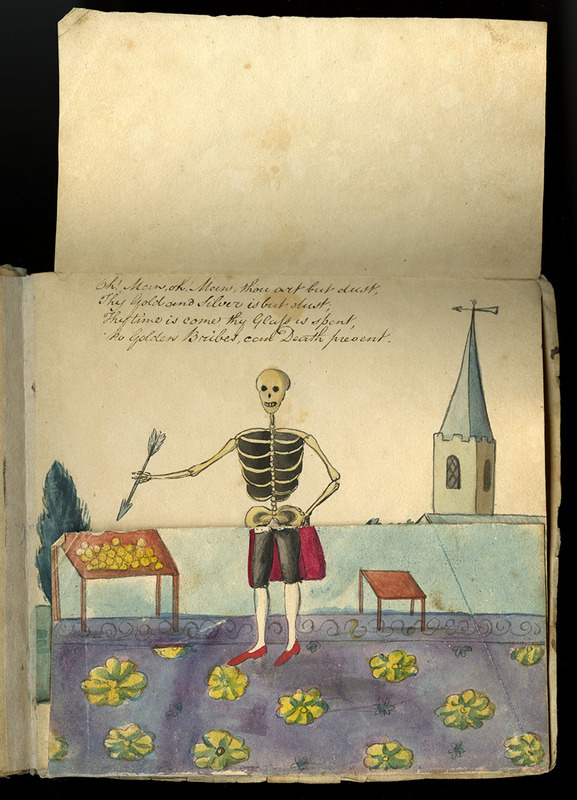 The colorful cover advertises the mysteries revealed within this book. Lydia L. A. Very, Red Riding Hood (Boston, ca.1863). 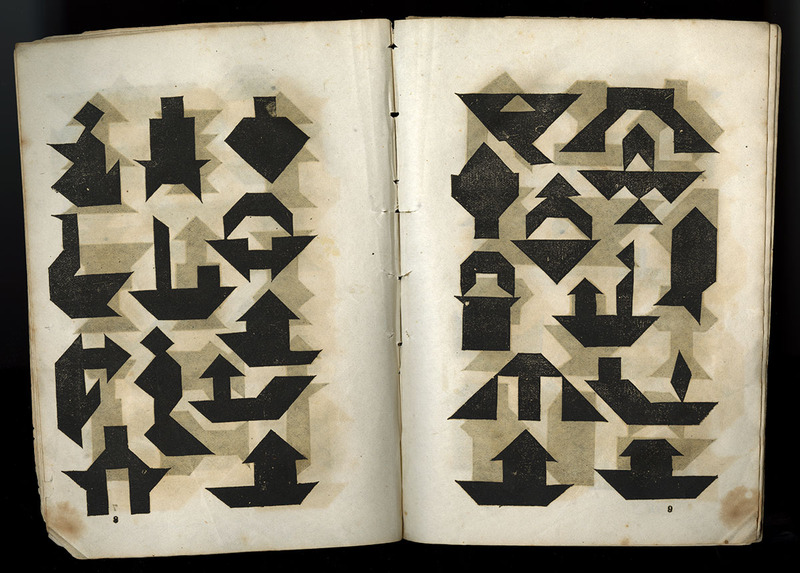 This is the first shape book printed in America. It was written and designed by Lydia Very, who was also a poet. 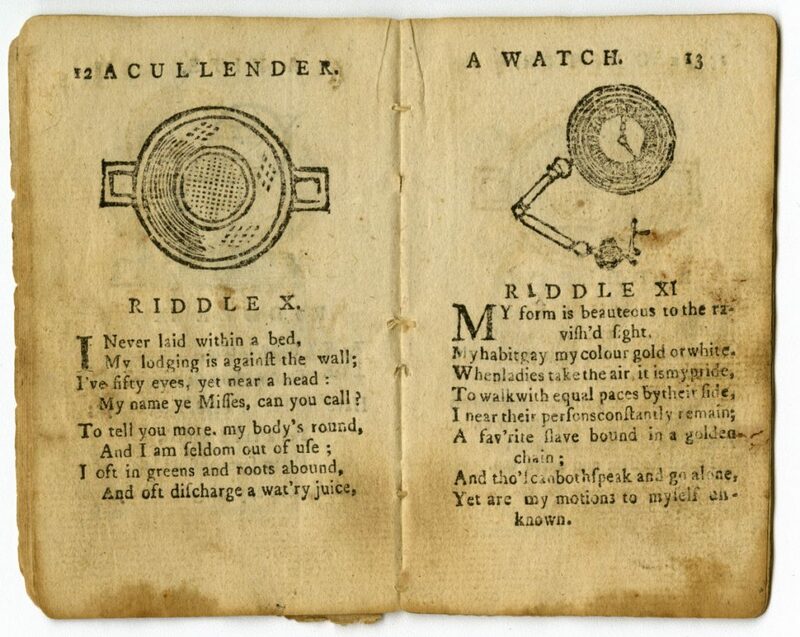 The Puzzling Cap: A Choice Collection of Riddles (Boston, ca.1794). 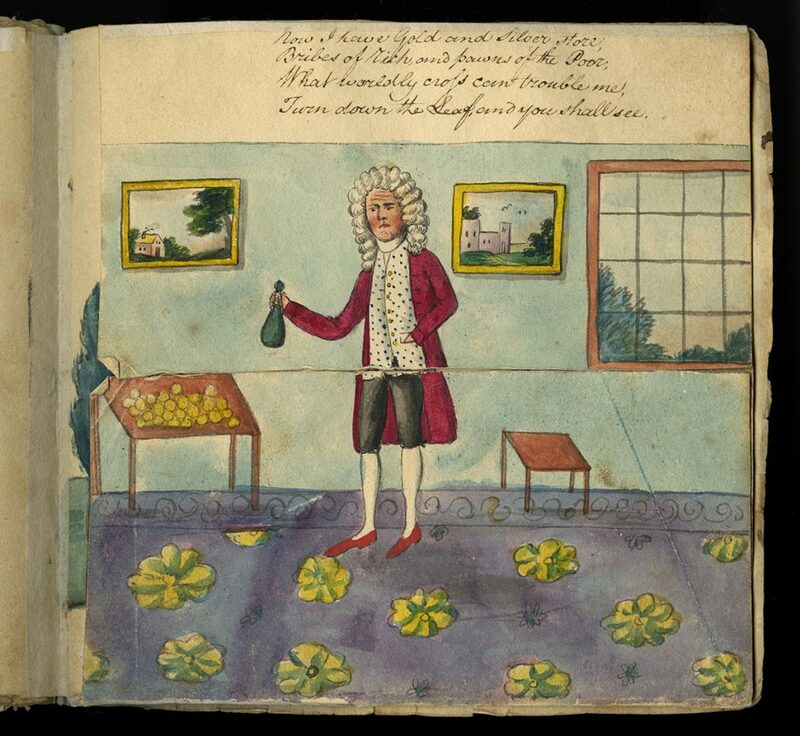 Michael Zinman Collection of Early American Children’s Books. C. Chapman, Scientific Amusements, for the Old and Young, Grave and Gay. Designed for Centre Table and Fireside Recreation (Philadelphia, 1844). Today we call this puzzle the tangram, once referred to as the Chinese puzzle. This book came with a puzzle set of seven pieces. Dr. Franklin, The Art of Making Money Plenty in Every Man’s Pocket (London, 1817). Old Humphrey, Sergeant Bell, and His Raree-Show (London, 1839). 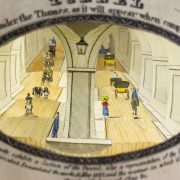 This image shows a traveling showman with a perspective theater (raree-show), which was the forerunner to the hand-held tunnel book. Costumi della Corte Pontificia (Rome, ca. 1846). 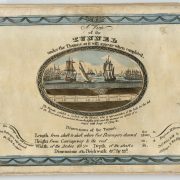 Bequest of Mary Rebecca Darby Smith. This souvenir from Rome shows the Pontifical Court, in splendid color, in a long accordion. 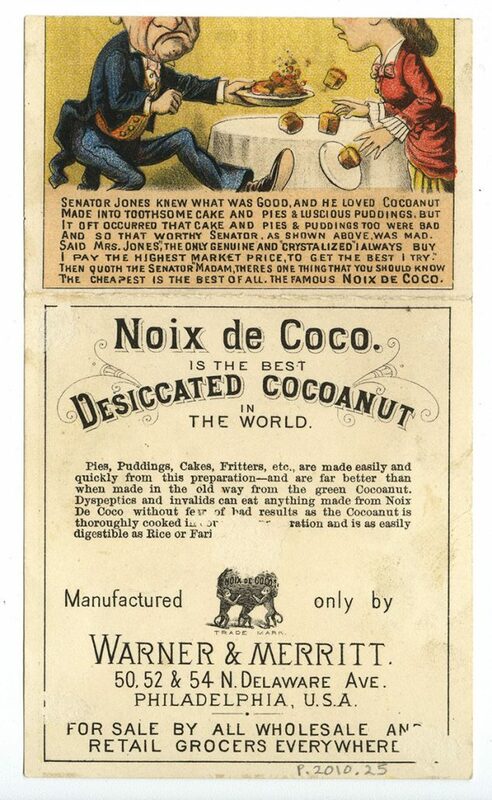 Noix de Coco Manufactured by Warner & Merritt, (Philadelphia, ca. 1884). 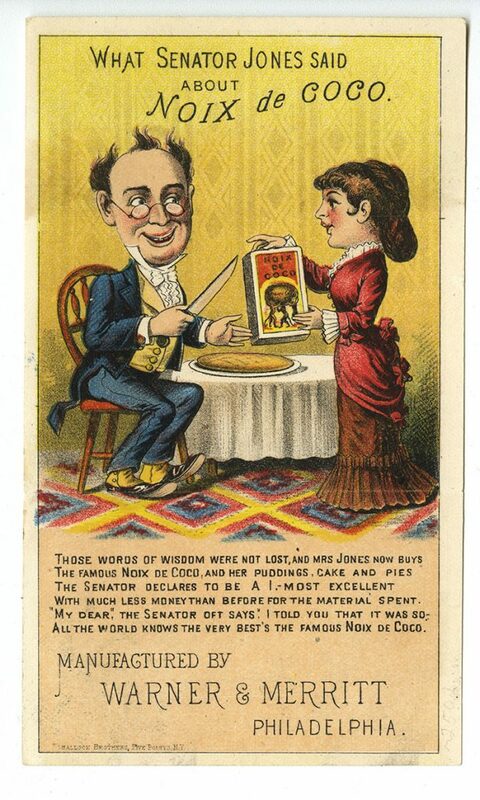 Chromolithograph. 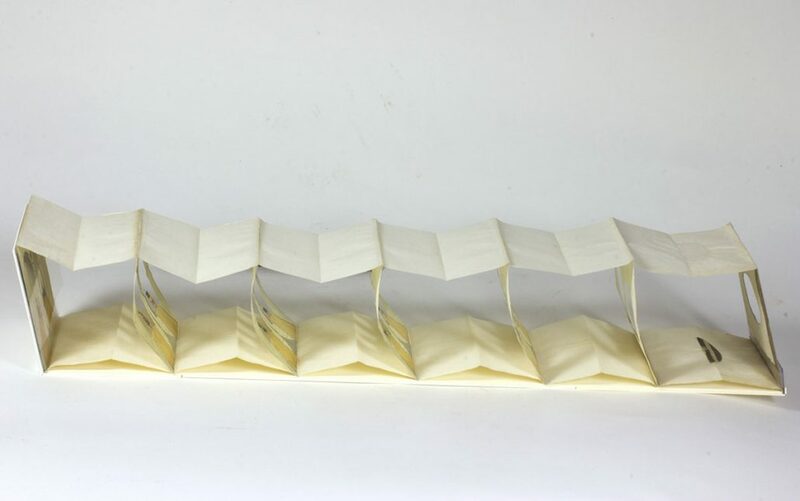 This simple commercially printed “metamorphosis” has one flap which folds down to reveal a happy couple who are about to eat the advertised product. 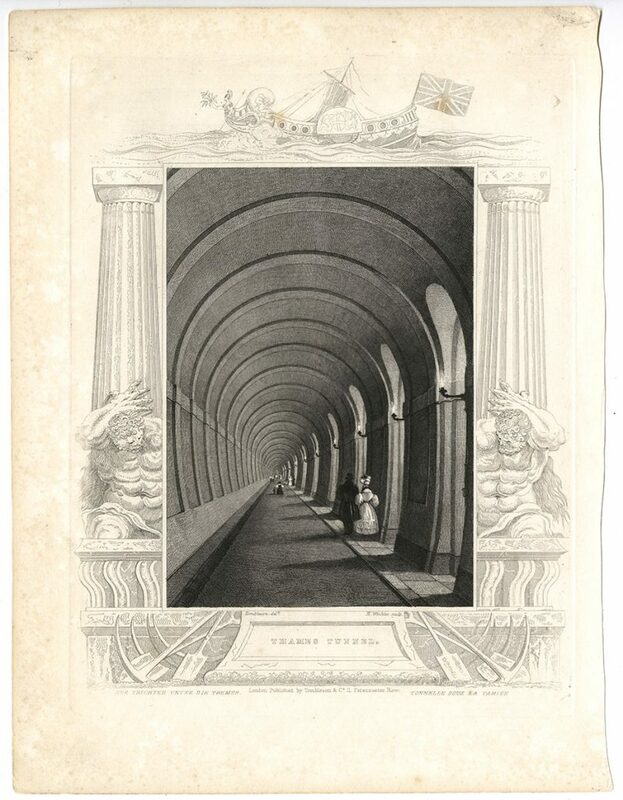 Henry Winkles, engraver after William Tombleson, Thames Tunnel [London, ca. 1830). 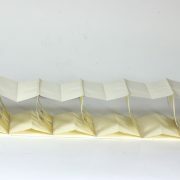 Michael Zinman Binding Fund. 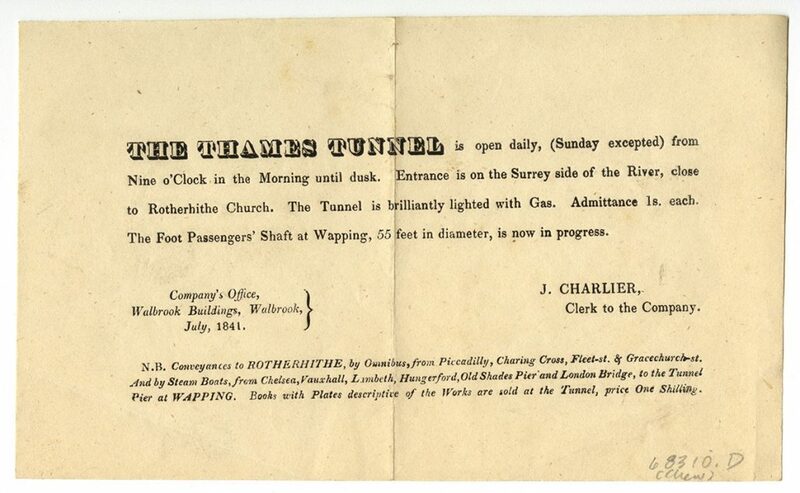 The Thames Tunnel Is Open Daily (London, 1841). 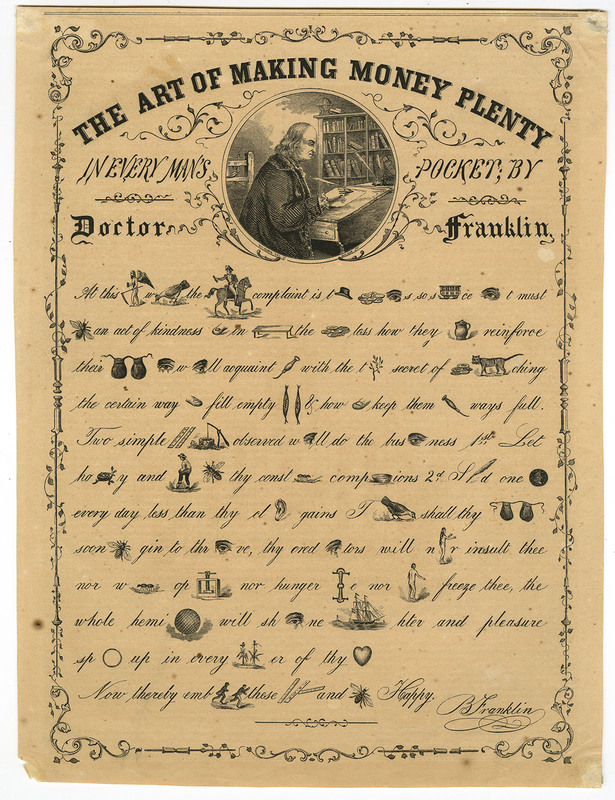 “The Art of Making Money Plenty,” in Gleason’s Pictorial, v. 6 (1854).